The Jack Daniels one for me is reasonably accurate for 5km, 10km and half marathon based on a recent half time of 1:40:21. It's miles out for marathon time though. My marathon PB is 3:44:14 set back in 2015 at Stockholm. Since running that marathon PB I've regularly ran sub 1:40 halfs (PB of 1:37:00), but the closest I've been to my marathon PB is 3:46. 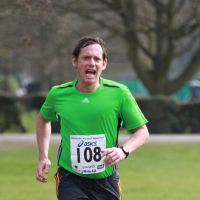 I guess I'm just rubbish at marathons! Hi everyone, excited and nervous about running my first Paris Marathon, so glad to find this thread! Have done 2 London and 2 Brighton previously, but having lived in Paris for a year as a student (20 years ago) it has always been on my 'to do' list! Welcome Suzanne. This will be second Paris. Wish you well. Welcome to the thread Suzanne! Using Jack Daniels I get my time to be about 3.45. So if you all reckon that it’s the best then I’ve got my ambition back. Thanks all. Hey guys complete newb here! I'm doing Paris marathon and stumbled across this thread whilst investigating the dreaded medical certificate lol! I notice that all of you already have your bib number and starting pen! At the time of booking my friend actually paid for 4 of us to enter and sorted everything out for us as 3 of us were at work and we were super worried they would run out of places. I've just messaged him asking for our log in details but he doesn't have a clue! I can't even find a log in on the timeto website, exactly what am I looking for? Please help lol! Starting to freak out! Your friend must have created four user accounts to book four places on the timeto website (login page: https://www.timeto.com/en-GB/signin) for the race. That's the only way to register for the race. When they did that they need to provide an email address and password, or use a Facebook account. If they can't remember the password, they'll at least need to remember the email addresses they used when they registered. When you login you can view your account and that tells you what your bib number and start pen will be (the start pen is set by the estimated finish time entered when you sign-up for the race). You'll all need access to those accounts, as that is where the convocation (registration letter) is posted a week or two before the race, which is required when you collect your bib at the race expo prior to the marathon. Good luck for Tokyo Dom, fingers crossed for you! 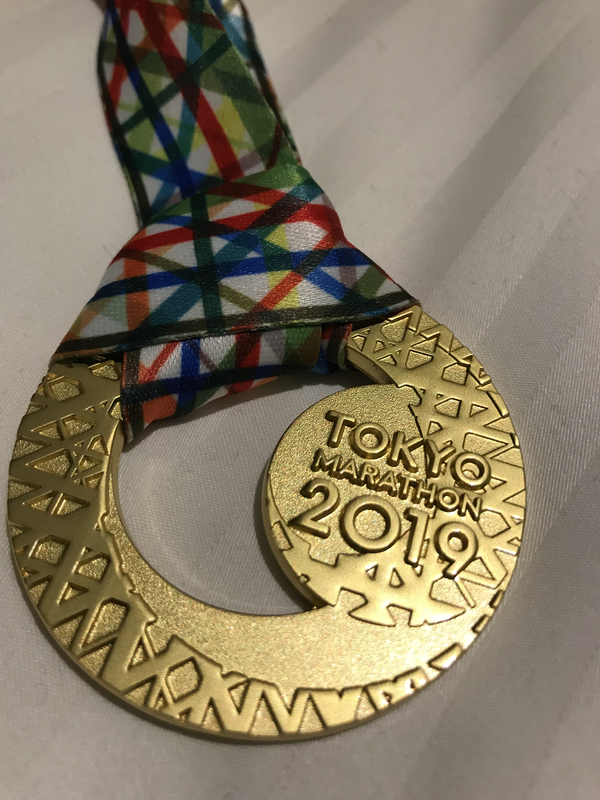 Suzanne - don't be nervous, you sound like you have some good marathon experience, and the support and course in Paris is wonderful!! Paris was my first ever marathon last year and I'm coming back this year so that has to tell you something!! I'm in the grey pen too. Welcome to the thread StephenLT! Morning all, coming to this late but good to hear lots of people excited to be going. This will be my second Paris marathon and my fifth overall, it’s my favourite perhaps because I got a PB there in, I think, 2011. All of you will enjoy it - this year due to illness and life getting in the way of training I’ll be happy to finish rather than reach a set time. It’s a great race at which to be a spectator, although this time my supporters will have a three year old in tow which might make things trickier. 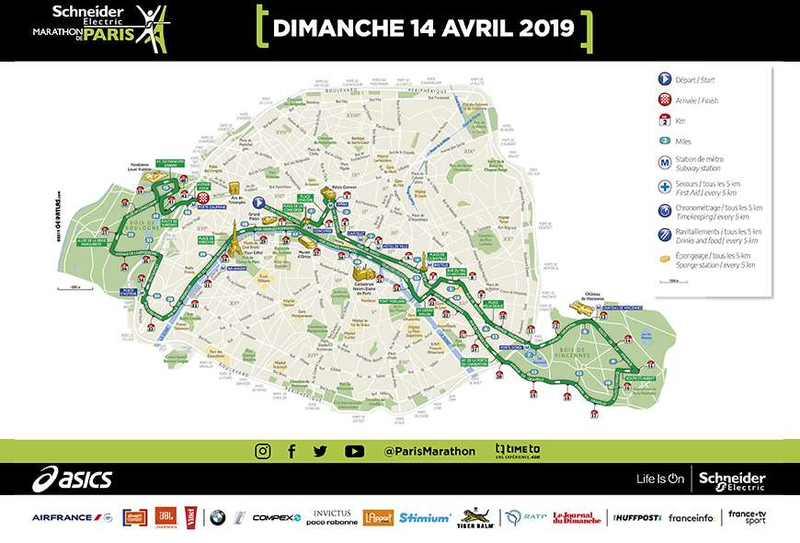 My advice would be to stay around the Place de Bastille, where your supporters can see you around 3 miles and 14 miles and have a coffee in between (those distances are approximate, I’ve not seen the course map yet). This is also a good spot to ask them to hand over a bottles of sports drink, as from memory the rehydration options are pretty poor - something too late, near the 20 mile mark? Maybe that’s changed in the past few years. My preference was also to wear a gel belt and use one every forty minutes / four miles, depending on pace. SIS gels work for me. An Australian behind me exclaimed to her friend “Jesus, look at that guy’s gels”. Well, PB folks, no wall for me! People asked about tracking. In the past I've used the Glimpse app that sends your mobile phone's location on a regular basis; I see that some Garmin watches can now send a live location through the Connect app, which could be worth trying. You’re going to love it, if not at the time, then afterwards! You’ll also discover on the Monday morning that there are a lot of steps on the Metro and not many escalators. Choose your luggage carefully. I was thinking of trying to cycle the route before the day itself. Is this possible? I may use a velib. The road alongside the Seine and the tunnels might be off limits to cyclists. It's worth noting that it's the lower road at the river you run along. I know that's caught a few people out who've tried to recce the course. Well done Dom! Hope that you're holding up well after the run and have some time to explore the city. As described above it really depends on the GP. You're best to contact your GP and find out how they deal with it. I've been lucky that I just hand the form in and the GP signs it and I get it back a couple of days later. Over the years there have always been some people who've had issues getting their GP to sign the medical certificate. I asked at reception they said it was impossible for anyone to sign the form. I decided to make an appointment with my GP she checked my records, asked a few questions, was happy. She produced a stamp, signed and stamped. Zero charge. Hey, I think that receptionist must work at my surgery too! I stopped asking their opinion years ago - I now just book an appointment with my GP. He takes my BP and weight and signs the certificate, no charge. Feeling the pain today. 3:36, would have been closer to 3:30 had my calf not gone on 21m . Fantastic time. Love the medal. Well done Dom. That is indeed a gorgeous medal! Well done Dom, that is a great medal and a great time! I hope you're taking some good recovery time now!! The route has changed from last year.